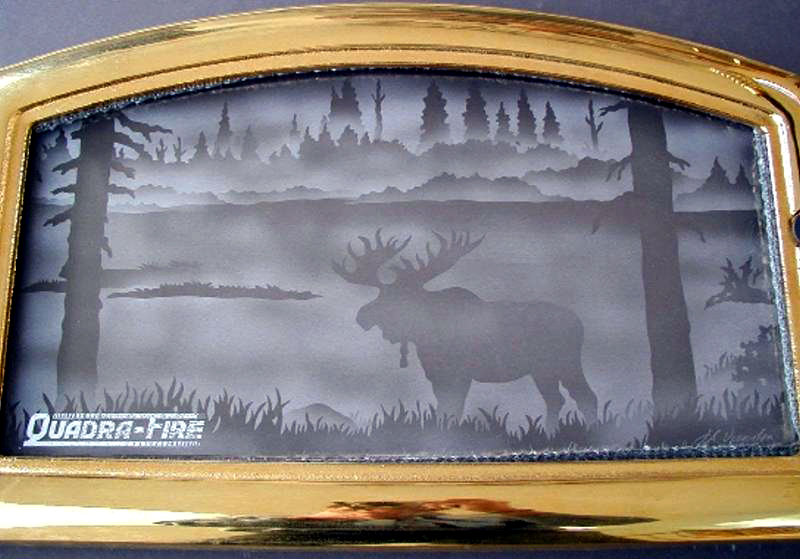 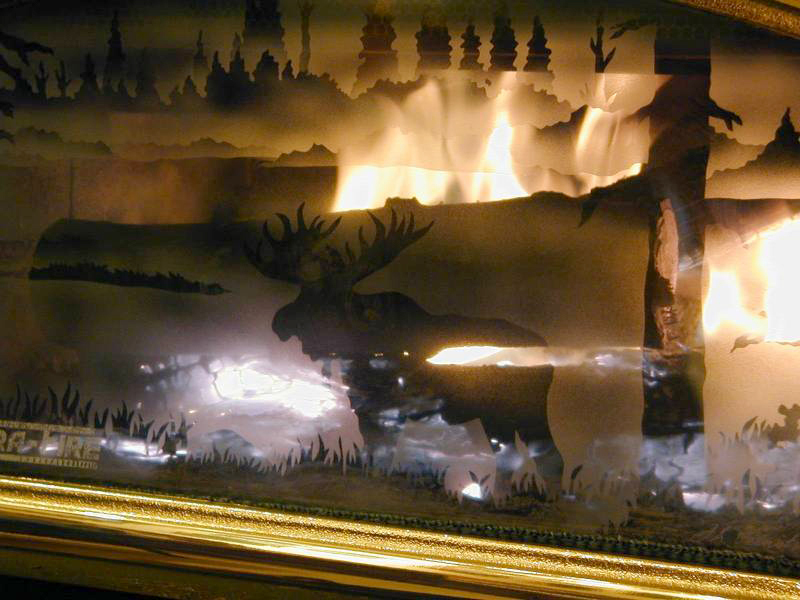 A selection of custom-designed glass doors and panels for fireplaces. 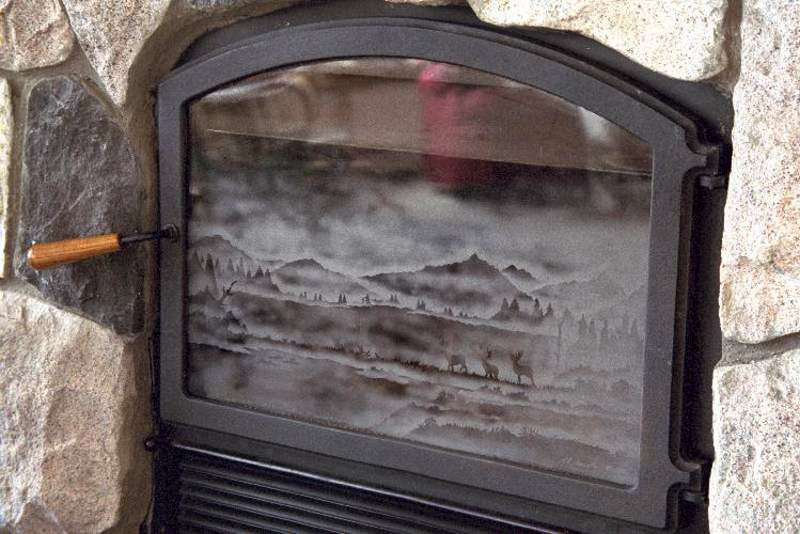 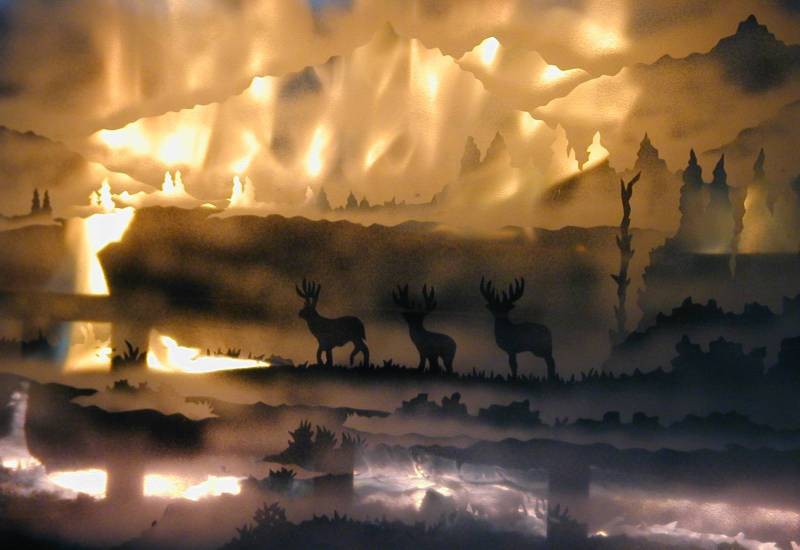 The sandblasting technique that combines frosted areas and clear areas of glass creates a beautifully dynamic and “living” effect when a fire is lit. 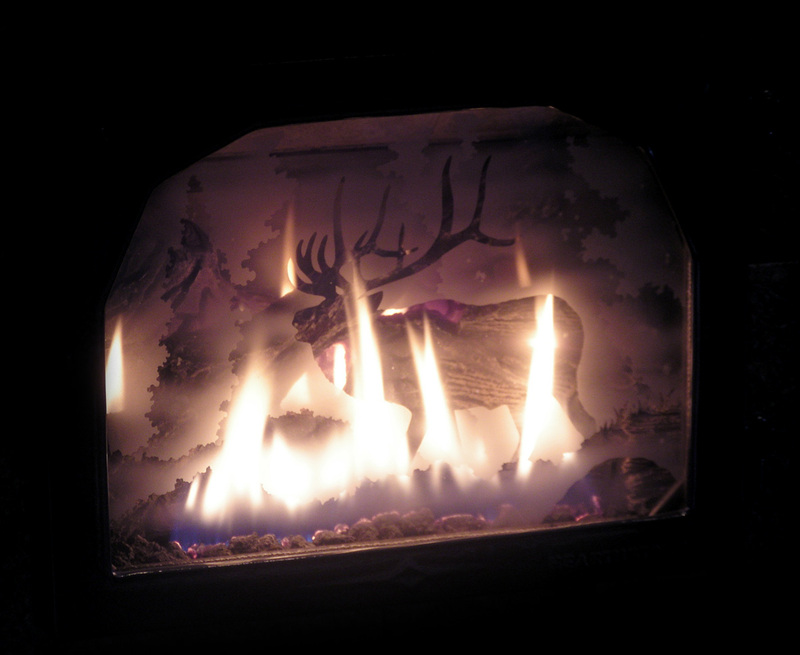 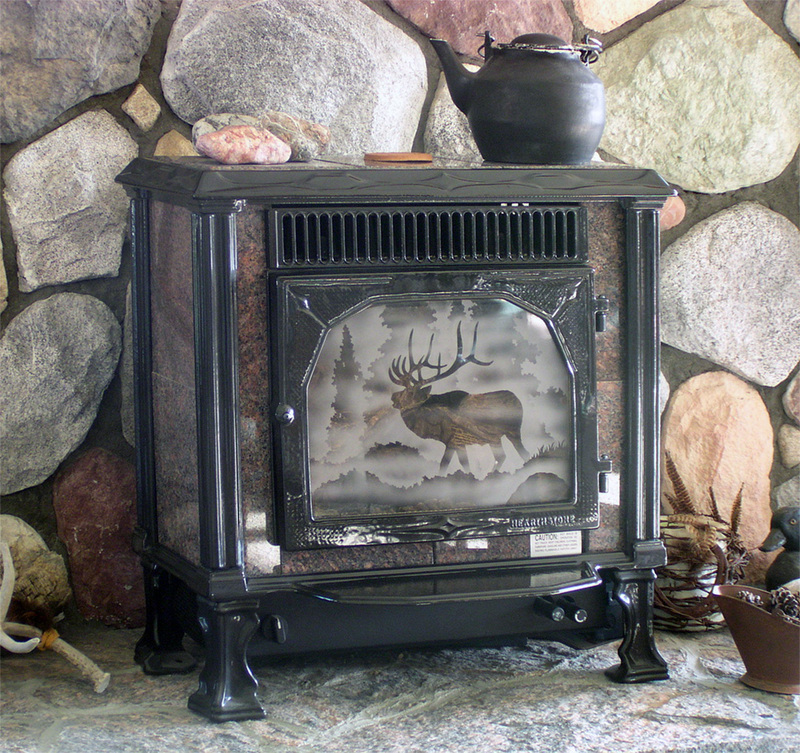 Contact me for a custom-designed piece to fit your fireplace.